Please enter the Name you are wanting on the shirt. 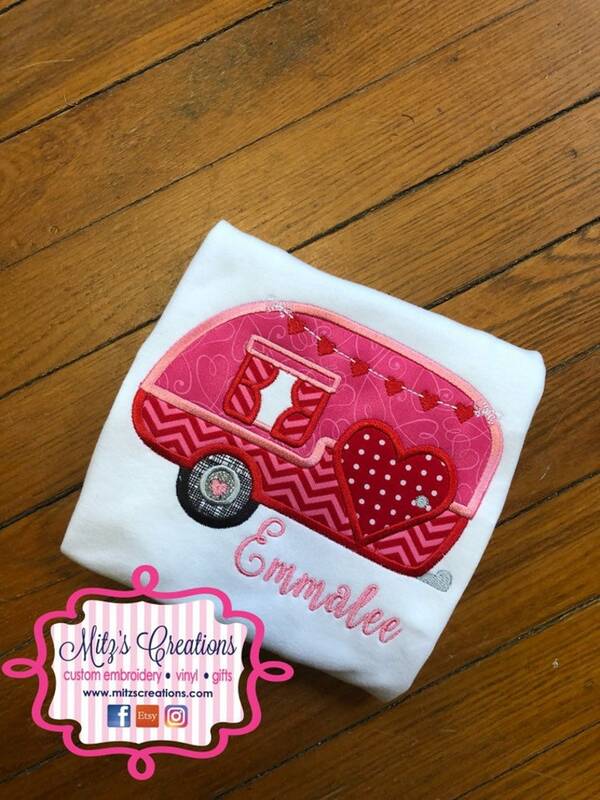 Super soft Appliqued Camper Shirt. Just perfect for Valentine's Day! All fabric shown will be used, unless out, then we will substitute for something similar, but just as cute! Please see size chart in 3rd picture when ordering.